If you do that then you will be able to cash commission checks each and every month. The primary reason people fail at affiliate marketing is that they lose interest in the time and effort it takes to produce quality product review articles on a consistent basis. Everyone who starts out with affiliate marketing will produce quality content. For the overwhelming majority of people, they will lose interest. When you lost interest you lose any chance of ever being able to cash a commission check in the future. Remember Rome was not built in one day. You should not have the expectation that you can get rich quickly using this method. Let me give you an example of how I almost failed. I have had up to 64 websites promoting Amazon products. I created the content for most of these sites myself. As you can imagine this was a daunting task. I got up at 5 am every work day and wrote an hour before work and then would write for an hour or two after work. Eventually this gets very, very old. It sucked to be writing content before work and after work basically 7 days a week. It would have been so easy to walk away from this and quit. But I was committed to reaching my goal so I had to improvise a different strategy. So I decided to try outsourcing. Outsourcing allows you to take advantage of differences of economic status in different countries to achieve your goal. There are countries in which the average monthly income is only $300 compared to $2,800 here in the US. If I hired someone in the US making the average monthly income then their cost to write content for my website would be very expensive. On the other hand if I hired someone from a country where the average monthly income is only $300 then their cost to write content would be much, much less. That is why people outsource. The one thing I caution is that you don’t start thinking that you are getting such a great deal based on the differences in economic status that you try to squeeze a lower price from that person. I am sure you have worked a job at some point in your life and probably are working a job right now. How would you like it if your manager came to you and said I want to increase my profits so I am reducing your pay 10% effective immediately. I bet you would not like to be treated like this so don’t treat people you outsource like that either. Here is my experience on outsourcing including what worked and what did not work for me. ReplaceMyself is promoted by John Jonas who encourages you to outsource yourself to workers in the Philippines. He sells a course where you join his website for a monthly fee. Then you use onlinejobs.ph to find philippine workers. I joined and never had any success so I quit. Onlinejobs.ph has a $47 monthly fee to use if you don’t join replacemyself. I joined for one month and contacted 9 writers asking them to write a sample article for me to judge their English. Only 1 responded and then he did not write the sample article. I had zero success with both. Like anything in life your mileage may vary but I don’t recommend either of them. Quite a few very successful marketers that I follow have used Virtual Staff Finder. They are not a copy but basically a headhunter service. You pay a flat fee of $395 and they will present you with the name of 3 candidates that meet your requirements. You interview them via skype and hire one. If that person craps out then you are out your $395 cause they only offer a 2 week guarantee after you hire them. I paid my fee and they promise to deliver 3 candidates in 14 days. On the 15th day with no candidates presented I asked for a refund. I then got a crass email saying no refunds and that the deadline for 14 days wasn’t on Friday like they had said in an email but was actually the day they responded to my request for a refund and voila 3 minutes later I got a list of candidates. I did interview all 3 and asked them to write me a sample 500 word article. Only one wrote the article. I asked for a refund again. They said no. They said I could wait another 14 days for 3 more candidates. I said bull and emailed the owner directly saying their service was very lacking in my case and he immediately refunded my order. I wanted to try out this company but they never bothered to answer my emails. They are different than virtual staff finder in that they actually hire the workers and pay them. You pay a flat monthly fee to the company and their employees provide the work. I asked about writing and would I have different people doing the writing or what. I even sent a PM to the company owner on Facebook who promised to get back in touch with me. Nothing ever contacted me so I never used them. With odesk yu can post a job and get applications from people all over the world. Be prepared to get lots and lots of roboform applications. I am convinced companies hire people to sit there all day and immediately respond to every job posting. For that reason in your job description put something like put the words “pink lipstick” in the subject of your email when responding to my job. Anyone that doesn’t is a roboform and doesn’t bother to follow directions and that is not who you want to work for you. I have hired 3 different writers on odesk. In almost all cases I find they write something good first time but then their ability to meet future deadlines just goes downhill or they never complete the assignment. The advantage of odesk is that you do get the cheapest workers but the long term quality and reliability will always be an issue. This is where I have had the most success and what I continue to use today. I posted a job asking people to write 5 x 500 word articles on 5 keywords that I provided in the job posting. I got over 20 applications that ranged from $20 to $195 for all 5 articles. Since I had about 9 applicants that wanted to charge between $20 and $45 I contacted them all and asked would they write on 5 different keywords than what was posted in the job listing. All said yes. I then hired 9 writers for the same job which you can do on elance. 1 writer did not complete the work. 1 writer took over a week to accept the job and by then the other writers had completed the work and I passed on them. That left me with 7 writers that wrote 5 articles each. Out of that I found 1 excellent writer, 2 that were very good, 1 that was good and 1 that was good but was the most expensive at $45. That left me with 4 quality writers that I could turn to at anytime to write for me and 1 additional writer in reserve that was good by more costly. The average for writing a single 500 word article was around $6.50. This is a very good price. If you keep the schedule of writing new content every 3 days for your website or basically 10 new articles each month, it will cost you about $60. Now do the math and measure how much your time is worth multiplied by the number of hours it would take you to write 10 new articles. Let’s assume you can write 3 articles an hour. It will take you a little about 4 hours to write content for the entire month. Divide $60 by 4 hours and you get $15/hr. Is your time worth more or less than that amount? If the answer is more then you need to outsource. I have used all of these writers and recommend them. Their rates are very reasonable. You can use the escrow service on elance which allows you to fund the cost of the work, you get the articles back and once you are satisfied the quality is good then elance releases funds to writer. There isn’t an issue with paying someone upfront and they running off with your money. I have gotten into the pattern of sending out work the first and 3rd week of each month. That gives them one week to complete work. Then on the 2nd and 4th week, I proofread articles and make any necessary changes and then post them on my websites to publish new content every 3 days. This has allowed me to basically spend one hour ever other week posting a job with the keywords and links to the amazon products for writers to write. Then every other week I spend about 10-12 hours just proofreading and posting content. Now I guarantee my sites get new content published every 3 days or 10 articles each month and I am working about 1/10th of the time I was previously. If you want to take your affiliate income to the next level you have to stop trading time for dollars. Doing all the writing yourself will limit how far you can go. 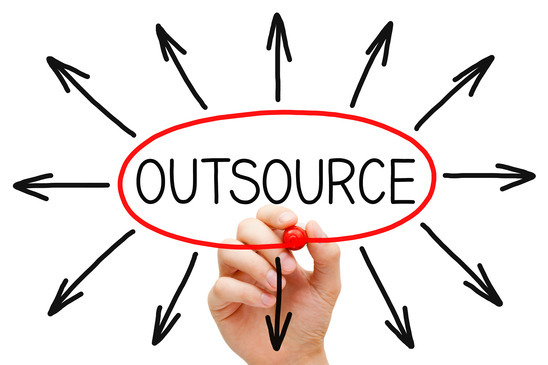 Outsourcing allows you to hire 5 writers and get 5 hours of work done in just 1 hour. That is how you exponentially grown your affiliate income. Hope this information is helpful to you and allows you to increase your online earnings. I would appreciate it if you would leave a comment about whether or not this information was valuable to you or not. If there is something you would like for me to cover then let me know in the comments below. Jennifer; wow! I have been trying to find information like this for YEARS. I am serious. And I am going to use at least one of these people. Thank you; bless you. I think you could have sold this information! I am honored that this post was so beneficial to you. I just started posting to my website less than 2 months now and I am taking a totally different tactic than other Internet Marketers in that I am giving everything away and if it adds value then you can pay me what you want. A big thank you for sharing this information. I will be definintly be looking into hiring one of the writers. My writing is pretty good but I am slow at it and really do not enjoy writing that much. You are so welcome! I am like you in that I COULD do all the writing myself but sometimes it pays to let someone else do the work for you. If you use any of them, please make sure you come back and post your results. Jennifer, mind if I throw in a ‘results from this strategy’ story here? A few months ago, a copywriting client of mine approached me to write the sales letter for her newest product (obviously I had an ‘inside track’ about the new product which helps a Hell of a lot). This client is the very same client who introduced me, back in 2010, to the very market I serve. In fact, we both serve the same market (Amazon affiliates.) With access to the product, I had the chance to do an in-depth, product test review. Over the course of three days and three separate blog posts, I thoroughly reviewed the product, tested the teachings, and documented my results from my efforts. She opened it before launch for 24 hours, JUST for my readers, and I forget the actual amount of money I made, but I remember that my EPC’s were somewhere around the $5.00 mark. Plus, her upsell was for a ‘recurring fee membership,’ and I’ve been consistently earning commissions every month from those sales. After the 24 hours were up, I redirected my affiliate link to an optin page, letting readers know that the product was off the market, but to sign up for notification when it became available again. Two months later, when she reopened it, I changed the link back to my affiliate link, and on the day she opened for sales, I had 12 or 14 sales. Plus more sales of the membership site. People searching for ‘reviews’ of her product, found my blog posts, and bought from my review. When the product ‘launched’ in February, I made over $500 in commissions, and so far this month, I’ve made $150.00 between new sales and recurring commission sales. Thank you for sharing your success! Nothing energizes other more than reading about how someone accomplished the goal that they want for themselves. I have talked to Danielle and she has agreed to create a guest blog post showing the exact steps that she took. This information would be invaluable. When finished I will post it for everyone to read to see how somebody else succeeded with making money online. So stay tuned. Congrats again on your success! Good article Jennifer. I enjoy case studies and even moreso when related to a ‘top of mind’ topic. I’ve used outsourcers for article writing before, but my overall approach was lacking. I’m revisiting the idea and I like your approach for vetting new writers. I think I’ll fold this into my future plans. Glad you enjoyed this post. I hope it helps you. You can easily follow what I did and build a team of “go to” writers without paying the expensive fees to companies that specialize in providing outsource workers for you. It is much cheaper doing it my way. Thanks again Jennifer for putting some of your writers out there for us to consider hiring. I dropped a job post on elance earlier tonight and invited your 4 folks and a handful of others. I’ve had mixed results with writers in the past but really want to give it another go. Finding the right resource can really make a difference. Thanks for your advice and recommendations. It is my pleasure to share my writers. I hope you are able to find more than one quality writer to help you out with your writing. Try doing what I did on elance, hire multiple writers to write some sample articles for you. Then keep the best one(s). You are right that finding the best resource to outsource your writing can dramatically improve your life. This information is very valueable to me.I have emailed you with some questions.I am looking forward for your response. Two of the mentioned writers do not exist now on e-lance.Can you share your more writers so that we may also get benefit from their work. You should go through and post a job on eLance and get people to submit proposals for your job. Then evaluate them and use the best one.